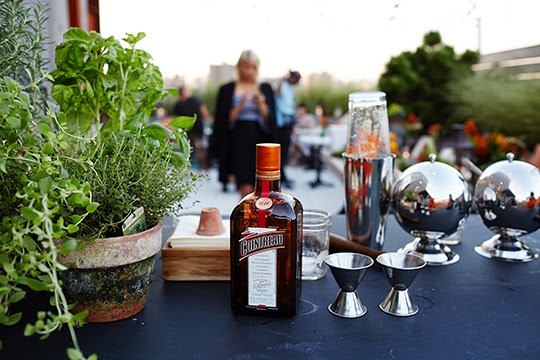 I was recently invited to the most gorgeous rooftop soirée hosted by Athena Calderone of the lifestyle blog Eye Swoon and Cointreau liqueur. 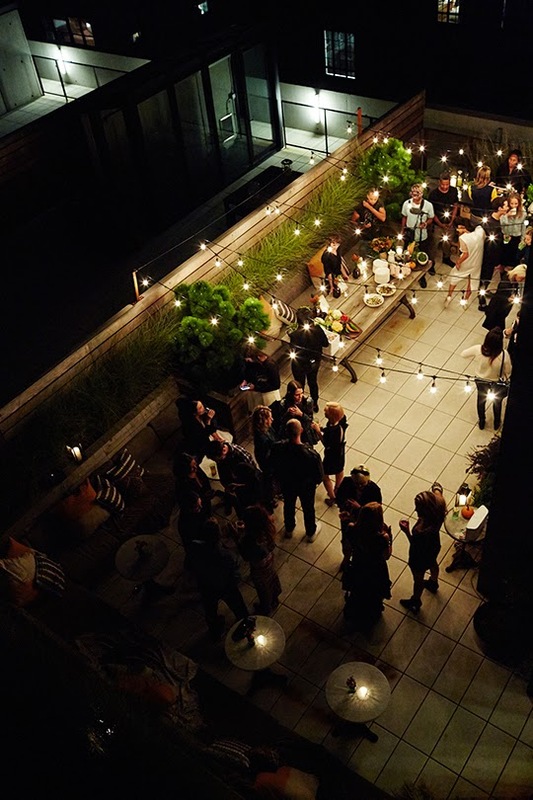 The event was hosted at Ms. Calderone's Dumbo rooftop that overlooks the Manhattan skyline, and delicious edibles were provided by Franny's of Brooklyn. 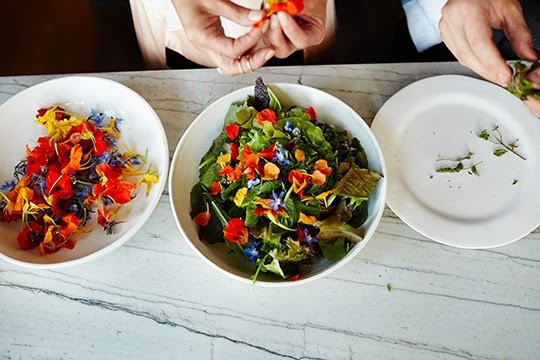 Chef John Adler put together a lovely menu of seasonal, elevated-yet-rustic cuisine. For those of you who have not yet visited Franny's - run, don't walk, to this gem of a neighborhood eatery. 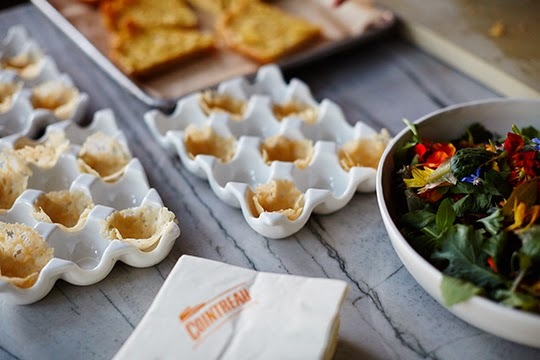 I LOVED this flower salad that was served in a baked cheese bowl. Delicious! 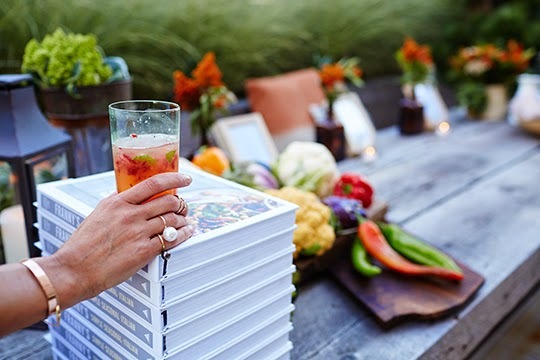 The evening started with Strawberry and Mint Cointreau Rickeys - a refreshing spin on the Classic Rickey. 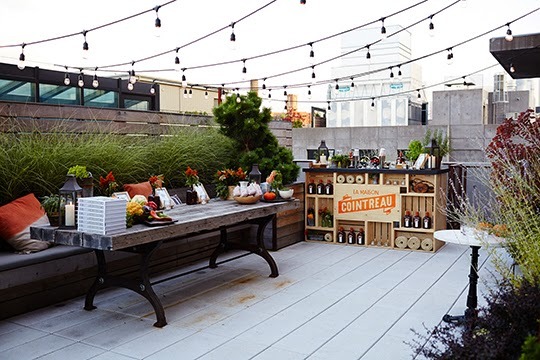 An outdoor bar was set up under festive festoon lights, and guests chatted and enjoyed the gorgeous weather. 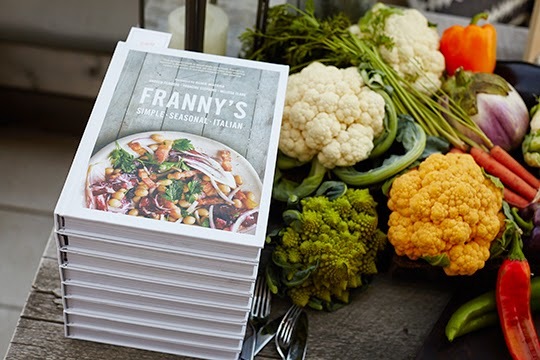 At the end of the evening, guests left with full bellies and a copy of the Franny's Cookbook - a gorgeous book filled with the new-classic Italian recipes that have made Franny's a Brooklyn institution. I cannot wait to dive into this book and try out the recipes such as the Chickpea and Kale Soup, Marinated Artichokes, and the Fusilli with Pork Sausage Ragu! 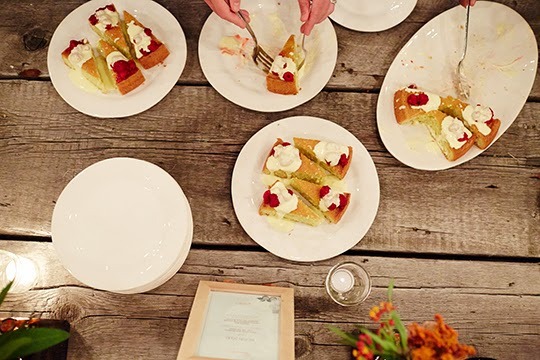 At the end of the evening felt very inspired by all of the incredible people I met at this party - lifestyle writers, chefs, food bloggers, fashion designers - all who are successful and focused on their craft. 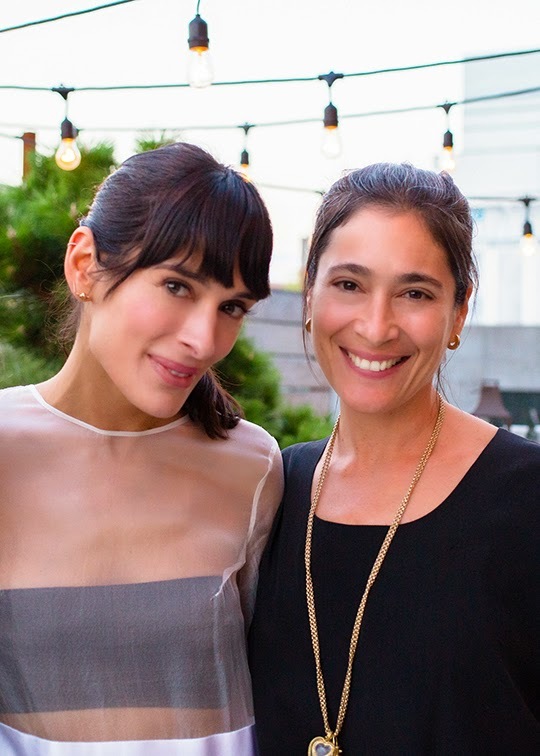 Thank you so much to Athena Calerone and Cointreau for having me! Just gorgeous. Makes me want a Berry Rickey, right now!